We appreciate and thank you for your interest in our work and services. The reports we prepare are not computer generated reports, so they require the proper time. 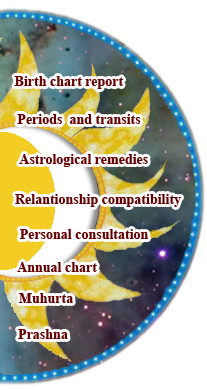 Astrology is a spiritual science, which besides the technical knowledge requires insight, wisdom and a great deal of intuition from the astrologer, which usually flows easier when the mind is calm and without time pressure. That’s why i like to work on a report without rush, taking all the needed time to think about a chart, look at it from different angles, think what I am writing about, read it again at different times or different days and so. Sometimes I just like to wait until I get some insight about a specific part of a chart, before finishing a report. But I also know that you are looking forward to receive your report, so I do my best to complete it as soon as possible. Most of the time, if not too busy, I complete the reports in about 2 or 3 weeks after the order, but there are periods of high demand when the schedule gets tighter by teaching or traveling and I need more time, sometimes 1 month or more to complete a report. If for some reason you need a report with urgency, please write to me before to check the possibilities or an estimate time of delivery. Thanks a lot for your patience; i hope to make it worth for you!